That’s largely why so many in the healthcare system turned to opioids – they quickly and efficiently block messages of pain to the brain and decrease the body’s perception of discomfort. Prescribing them became such a common practice that in 2008, the U.S. consumed 80 percent of the global opioid supply despite being home to less than 5 percent of the world’s population. This led to the widespread misuse that has harmed millions of people and devastated whole communities. The harm from opioid abuse in this country cannot be overstated. 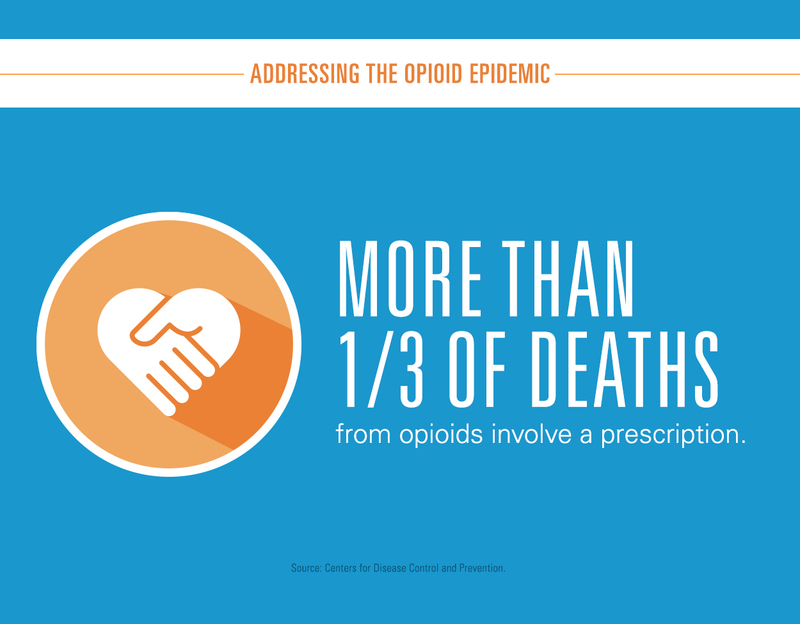 In 2017 alone, prescription opioids were responsible for more than 35 percent of all opioid-related deaths. 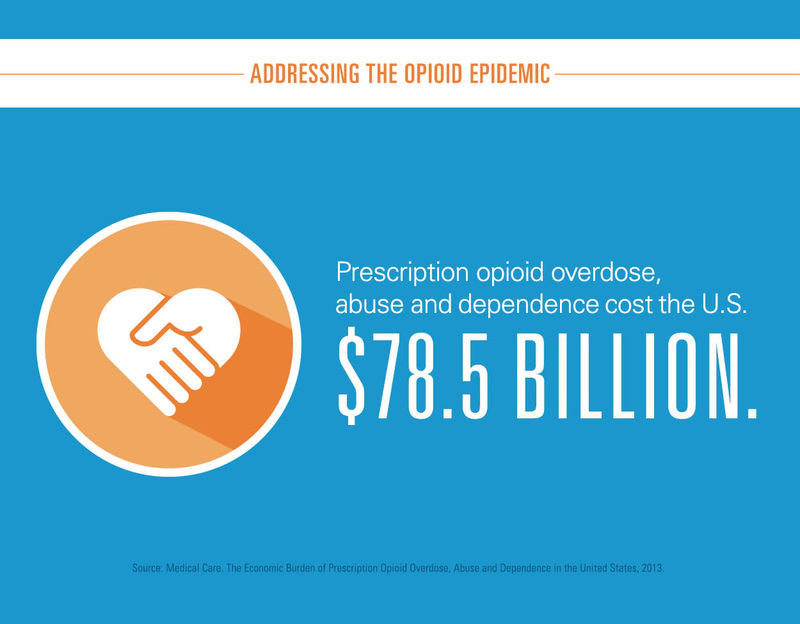 Prescription opioid overdose, abuse and dependence cost the U.S. $78.5 billion, including costs of healthcare, lost productivity, addiction treatment and criminal justice involvement. Now, the U.S. Department of Health and Human Services (HHS) points to four critical steps to address this epidemic: better data, better evidence, better pain care and better access to opioid disorder treatments. 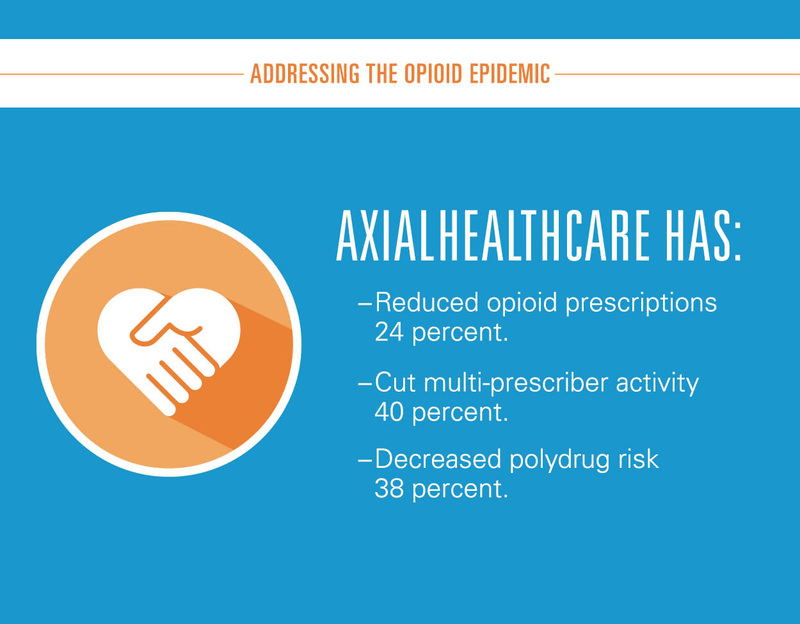 I fully believe a focus on these four elements can change the path of the opioid crisis — and these are the pillars upon which we created axialHealthcare. We begin with robust data collection. We want to know everything possible about the course of pain management, opioid misuse and opioid use disorder. To do this, we compiled an extensive research database of medical, pharmacy, and behavioral claims information that provides unique insight into pain management, opioid therapy and addiction treatment practices and outcomes. Using this database, we built algorithms that can identify and even predict a member’s risk for escalating chronic pain, opioid misuse or abuse, and overdose. From there, we need to know the most effective way to treat those who are at-risk. This is quite a challenge – in 2018, there were more than 6,300 articles related to opioids in PubMed, averaging 17 per day. To keep up, we worked extensively with respected academic centers and our national Scientific Advisory Board, comprised of prominent pain medicine, addiction, behavioral health and pharmacy experts, to turn this sea of research into evidence-based recommendations. With this work as our foundation, we use our technology platform to put these algorithms and evidence-based practices to work in real time. We integrate with health plan data networks, matching member information to our risk algorithms to identify high-risk members. Once those members are identified, our clinical pharmacists call the member’s doctor, sharing comprehensive risk information and up-to-date clinical recommendations for each individual’s specific case. Recommendations may include medication changes, screening for substance use disorders and referral to specialists experienced in treating specific conditions. Member risk information and recommendations are also shared with clinicians via an integrated portal that serves as a centralized location for all doctor-facing capabilities. Finally, axialHealthcare’s clinical pharmacists also engage directly with patients through a program designed to help patients become more involved in their own treatment. Medication therapy reviews and alternative therapies for pain management are common topics, and these interactions provide patients with expert care and supplemental support outside of a doctor’s office. Our work has reduced polydrug use – the mixing of dangerous combinations of drugs – by 38 percent. We’ve cut multi-prescriber activity by 40 percent, helping to prevent patients from filling prescriptions from more than one doctor and intervening before misuse becomes overdose. 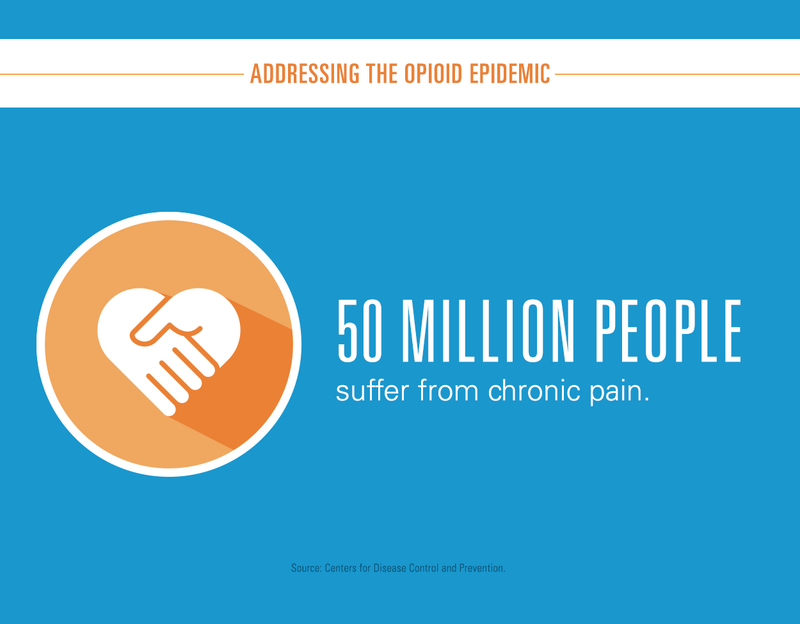 And we’ve reduced unnecessary opioid prescriptions by 24 percent, while still helping people effectively manage their pain. The opioid crisis is devastating, but not intractable. I firmly believe we have the power to do better and am already seeing the glimmers of hope. axialHealthcare is funded in part by BlueCross BlueShield Venture Partners, L.P., a corporate venture fund licensed by the Blue Cross and Blue Shield Association, an association of independent Blue Cross and Blue Shield companies. The fund invests in promising emerging companies of strategic relevance to Blue Cross and Blue Shield Plans. These companies are bringing creative, cutting-edge solutions to the healthcare marketplace.